Attendees from over 40 different countries! More than 100 international expert speakers on the Agenda! Have you secured your seat at the most exciting LiDAR event of the year? RIEGL is extremely excited to be working with our partner hosts, Five Star Electronic Technology and RedChina Geosystems. We have put together an exciting conference focused on terrestrial, airborne, mobile, unmanned and industrial laser scanning applications. Choose to participate in Hong Kong (May 5 through 7), Guangzhou (May 7 and 8) or both locations! 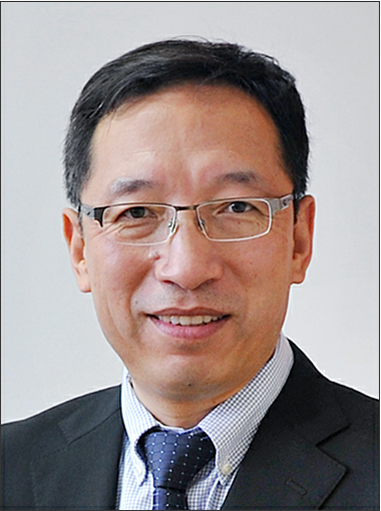 The agenda for both Hong Kong and Guangzhou and the main sessions can be found on www.riegllidar.com. 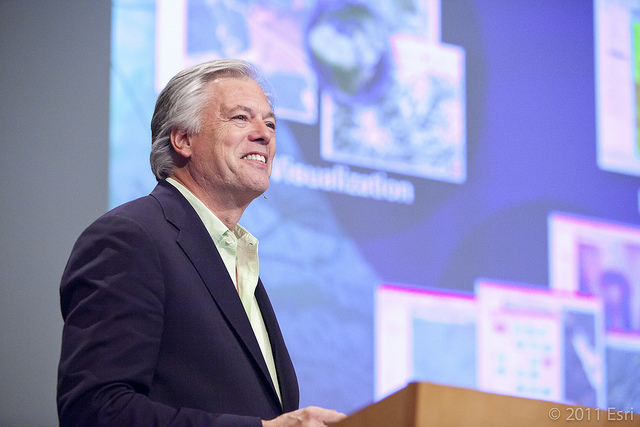 RIEGL is honored that Mr. Lawrie Jordan, Director of Imagery of Esri, will give the featured keynote speech in our Hong Kong opening. Mr. Jordan and Professor Jun Li, Chair of the ISPRS Mobile Division and Dean of the College of Engineering at Xiamen University, China, as well as guest professor at the University of Waterloo, Canada, will give the featured keynote speeches at our Guangzhou opening. 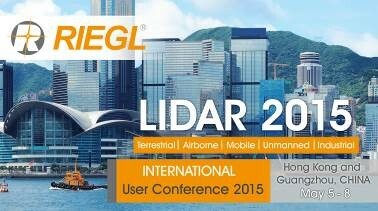 RIEGL is excited to announce our fantastic networking events for Hong Kong. We will open our conference on Monday, May 4th with a welcome reception that will feature our valued sponsors and showcase their latest products. 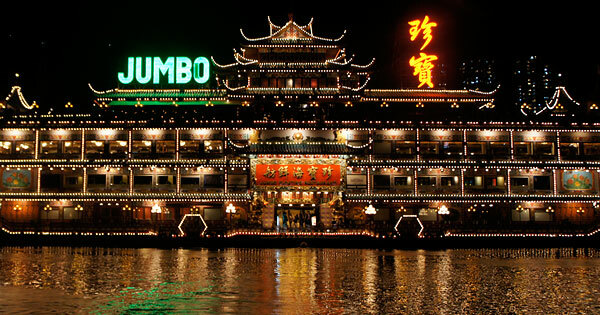 On Tuesday, May 5th, experience an unforgettable, fun-filled themed evening in a unique setting at the Jumbo Floating Restaurant. This renowned tourist attraction in Aberdeen South Typhoon Shelter, within Hong Kong‘s Aberdeen Harbour, awaits you with a traditional Chinese dinner and the unprecedented flair that has already been joined by Queen Elizabeth II, John Wayne, David Bowie, Tom Cruise and other celebrities. Exhibition of 25+ leading international geospatial companies, such as Esri, Applanix, Trimble, Flying-Cam, 3D Laser Mapping and many more! 100+ expert presentations in tracks such as UAV scanning, Bathymetry, Railway Scanning, Kinematic Applications, Mining, and more! Some of RIEGL LIDAR 2015’s expert speakers include: David Jonas with AAM (Australia), Steve Snow with Esri (USA), Andy Eavis with the British Caving Association (UK), Masashi Tsuzuku, Nakanihon Air Service (Japan), Ron Behrendt with Behron (USA), Martin Isenburg with rapidlasso (Germany), Antoine Cottin with Carbomap (UK), Flavien Viguier with SNCF Railway (France), Alexander Wiechert with Microsoft/Vexcel Imaging (Austria), Elizabeth Lee with Cyark (USA), Ben Adler with Phoenix Aerial Systems (USA), Frank Steinbacher with Airborne Hydro Mapping (Austria), Jörg Hacker with Airborne Research (Australia), Graham Hunter with 3D Laser Mapping (UK), Jeffrey Deems, National Snow and Ice Data Center, University of Colorado (USA), and many more! Networking and socializing in spectacular locations! We will see you in two weeks! ← RME Geomatics Purchases and Takes Delivery of their first RIEGL VUX-1!